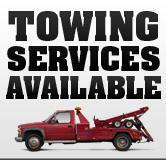 Towing Lax Services is the best towing company in the Lax airport area. Our Services had been in service for more than 12 years now and we will continue to serve you to the best of our abilities. The Lax airport is located at the intersection of the 405 and the imperial high way which is the 105. This area is not only crowded in general but on top of that there are thousands of people coming to and fro the Lax airport itself all day every day. If you happen to be one of the people around this area or perhaps coming from the airport itself and run into car troubles, your neighborhood LAX Towing Service is here for you and there is nothing that we won’t do for you. Contact us now and we will come upon your request to service your vehicle in whichever way we can! We offer everything in the towing field, and we mean everything. If you were to make up a car dilemma in your head and asked us to do it, there is no doubt that we will get the job done, no matter how crazy it might sound. We strive to be the best, whether it is in business, service, or customer satisfaction, we want to be on top of it all. If you are looking for someone to tow your vehicle for distances over 30 miles or just 5 miles, you will be pleased to know that we offer both services here. If you have experienced a very bad car collision or have been in a small accident and need us to come to your aid, we will have your back there too. For other services such as winch outs, we give you our personal guarantee that we can pull you out of any place and at any time. If you get a flat, we have tire services to help you out. If you lock yourself out of your car and need a locksmith to handle your vehicle and get it opened for you. if you happen to be going along in your car and not notice that you are 5 minutes away from having an empty tank, our Services can come to give you a refuel. If you need any other car services, just call us and see what we can do for you. What better staff can you ask for then one which is available to come to your aid 24/7 and is always ready to be on the move. Our service team members have more than 10 years experience in the field and are always learning new tricks and innovating new ways to better accommodate you. Contact LAX Towing Services now and see how well they take care of you in your time of need, you won’t be disappointed!